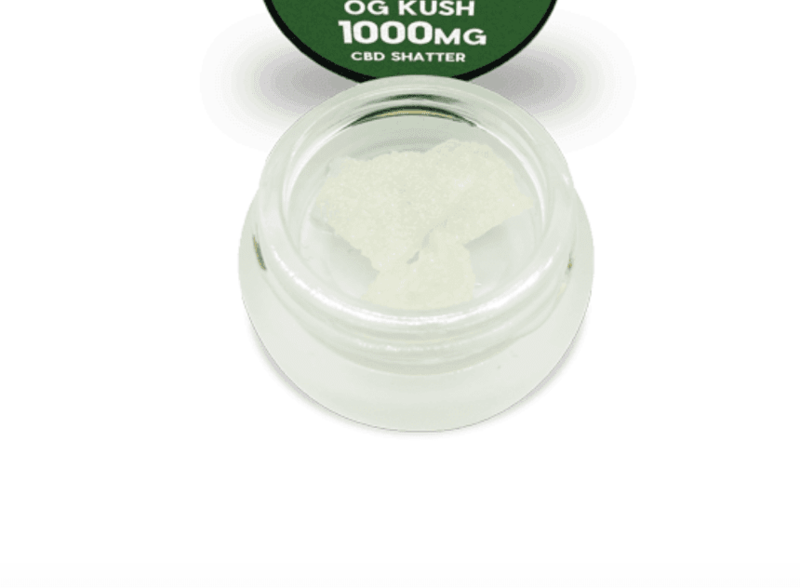 OG KUSH CBD Shatter 1000MG CBD. All of our Hemp extracted Pure CBD Crystals begins life as Colorado grown Industrial Hemp and is then harvested, extracted, refined and tested to ensure the highest quality end product possible. Our CBD isolate test at 97% + and is the perfect infusion base for any finished good product you can dream up. Effect: Attention, Motivation, Drive, Reduces Stress and improves focus. Hemp extracted pure CBD crystals derived entirely from Colorado grown industrial hemp. Non-GMO, CO2 Extracted, Pesticide Free, no dirt, no mold, no bugs, no excuses. Can be used as an additive in foods or oil liquids.